last year and in the first half of 2015 has once again reopened the debate as to whether many of them would have done better by not acquiring assets paying what now look fancy prices at the high point of commodity cycle preceding the financial crisis of 2008. Had they not further compounded their miseries by committing billions of dollars in capital and exploration expenditure for rapid capacity expansion? More than anything else, the never previously experienced Chinese demand growth for all metals and minerals that lasted for nearly two decades was the reason for the ‘insanely’ high prices that companies of the stature of Rio Tinto and Anglo American paid to broaden their assets portfolios. Some Indian groups too made premium priced deals at the last cyclical peak. 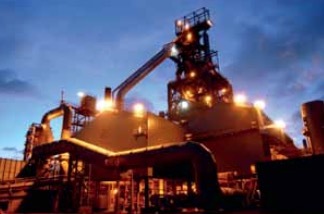 Like in January 2007 Tata Steel would engage in an eight-hour bidding fight with Brazilian Siderurgica Nacional to acquire Corus for about $8 billion. The acquisition in one shot made Tata Steel the world’s fifth-biggest steelmaker, but there is no ending of pains for it in running steel business in Europe in the present environment. Ian McVeigh of Jupiter Asset Management of the UK has coined the expression “top stinkers” for the “deals in the mining sector we believe should never have happened.” Top stinkers, according to McVeigh, make a long list. But the worst offender to date remains Rio Tinto, which in November 2007 throwing all caution to the wind engaged in a bidding contest with Alcoa of the US and Vale of Brazil for Canadian aluminium maker Alcan. Rio won the Alcan trophy in what till now is the biggest deal in the history of metals by paying $38.1 billion. Earlier in June 2006 Lakshmi Mittal paid $33.84 billion for Arcelor. The price in this case too was high. Acquisition cost rocketed as Mittal had to put up with Arcelor management’s bare-knuckled defence strategy and Severstal of Russia, which appeared as white knight. But he stuck to the target as in Arcelor he saw a technology treasure trove as also a route to global leadership in tonnage. Post Arcelor buy, he could, therefore, move into pole position of fending off substitution threat from aluminium and composites, particularly in automobiles. Even then, Mittal is not spared the pain of servicing mountain of debts still at well over the targeted $15 billion and write down. Misreading of China and warning bells about the country falling till recently on deaf ears of mining groups — read their CEOs’ statements till a year ago defending their massive capital investments to principally meeting future Chinese demand — have left them with such large capacity that they are now doomed to selling their production at continuously falling prices. The company that got it all wrong about China was former CEO of Rio Tinto Tom Albanese who in the belief that China would need to import growing quantities of aluminium to support its infrastructure development and manufacturing industries didn’t think twice in paying a hefty share price premium of 65% to acquire Alcan. Albanese must have believed like many others that for China not rich in bauxite aluminium imports would always be the right choice for it. Any number of mining groups who enticed by China decided to extract as much minerals as possible out of the ground through takeovers and capacity expansion are now found guilty of large write offs. The lasting slump in commodity prices has forced Anglo American, which in 2008 bought Minas Rio iron ore project in Brazil and then suffered major cost overruns in completing it had also to go for major write down. A recently released study by Boston Consulting Group shows that of 101 mining companies with market values of more than $3 billion at 2014 end, all but 11 had lost investors’ money on a total shareholder return basis. BHP Billiton, Rio and other big miners are out to reassure their shareholders that by progressively reducing capital and exploration expenditure, raising production through stretching productivity and cutting costs all around, they will ride out the slump in commodity prices with minimum possible injuries.